oops…I meant magic carpet bag! 2) commuter friendly form of transportation. 3) an oversized travel bag made popular in the 19th century and now used as an everyday carry-all. 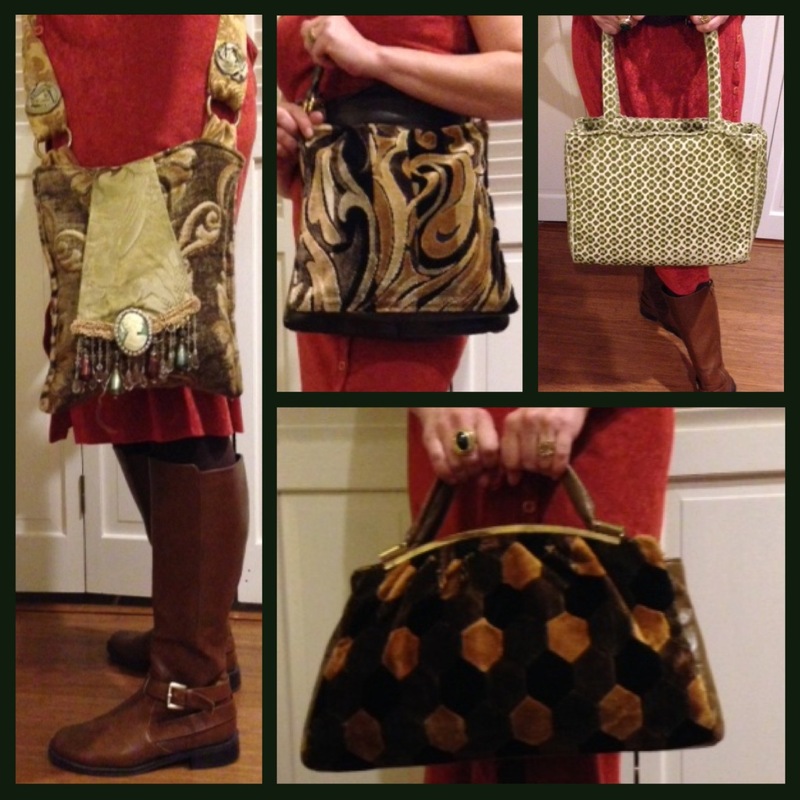 The velour swirl and hexagon are both vintage pieces and the green number is newer bag by Trash Bags.